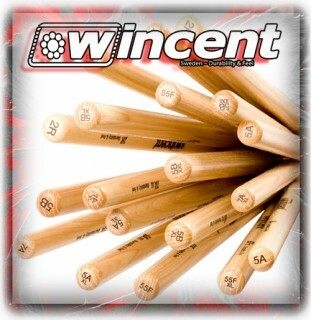 Wincent offers high quality drumsticks. Using innovative designs, our sticks are manufactured by Swedish craftsmen. All sticks have a speacial coating applied to ensure improved durability and to produce a great feel when played. 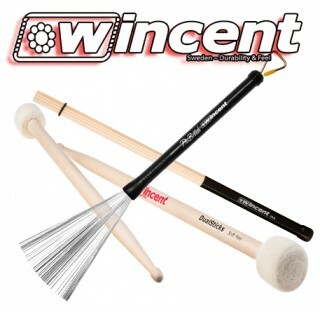 Wincent original full-range tips are developed as an excellent tool for you to create your own sound. The neck and tip are made to ensure the best rebound and feel on the market.